Between early October and early November 2011, more than 20 Ontario lawyers lawyers notified us that they received emails from the purported Ralph Chaplic looking to retain them with regards to a breach of a business loan agreement. This is similar to other frauds of this kind we have seen. For a full description of how this fraud works and to see other names attached to it, see our Confirmed Fraud page that deals with business load frauds. of practice, please contact me to provide you with further Information. Good day to you and thanks for responding to my email. Please pardon my late email response as my condition does not allow me to stay long on the computer. The consultation fee shouldn’t be a problem, kindly send me your firm fee / retainer agreement for my review and upon receipt and if OK, I will make immediate provision for the fee. 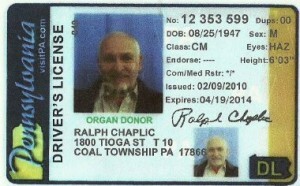 My full names are Ralph Chaplic. I am a lender who lends companies and individuals funds on a fixed term to invest and in return pay back with interest. 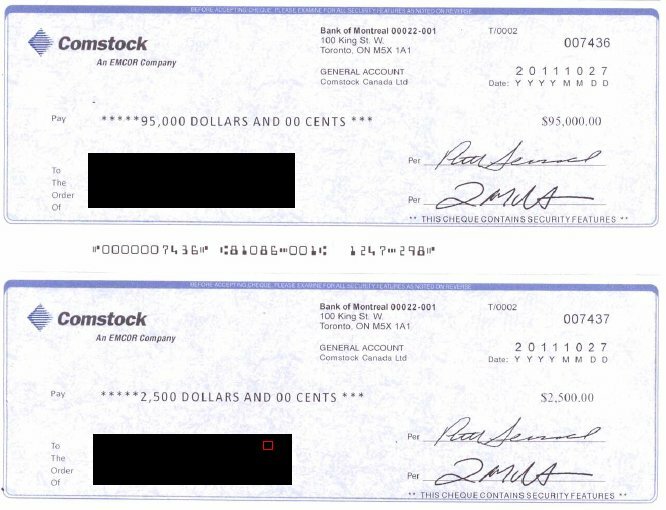 On January 5th, 2009, I lend Comstock Canada Limited who is located in your jurisdiction the sum of $480.000.00 with interest on two years fixed term and to pay back January 5th, 2011. Thank you for your anticipated co-operation and understanding. Contact me should you require more information. I have attached here a copy of the Loan Agreement Promissory Note for your peruse. My borrower’s name is Comstock Canada Limited. 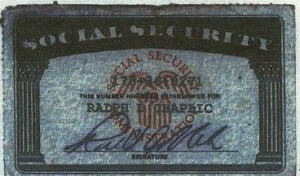 Attched are my ID’s. I am presently in Japan on a reconstruction contract and here is the number I could be reach +818043972154. Kindly send me your firm fee / retainer agreement for my review and if OK upon receipt, I shall make immediate provision for the fee. 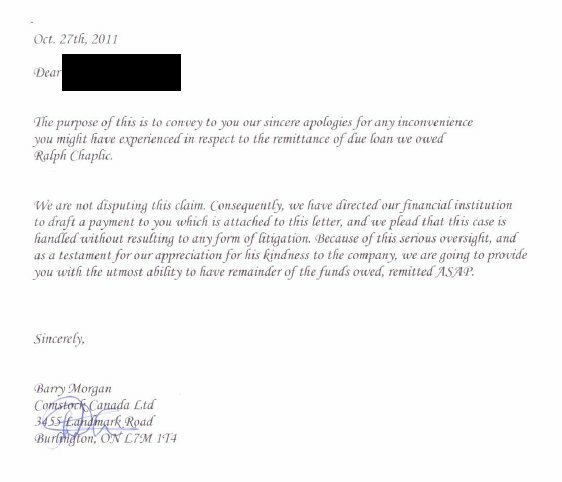 They emailed me agreeing to pay after I notified them of my intention to sue them for breach of loan agreement we had. They have previously made several promises to come up with the payment and none they kept and that is the more reason I told them this time around, I am seeking a legal counsel that will retrieve this funds from them and if need be, litigate them for breach of loan agreement. Please note that they have already requested for your firm contact details to enable them establish contact with you and set up an arrangement on how to remit the money they owed. They indicated that they do not want to be litigated and are willing to pay as I have instructed them. 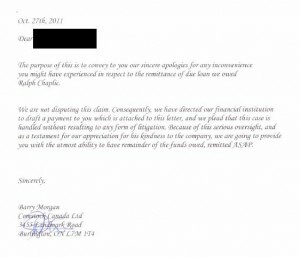 Please confirm if it’s OK for me to forward to them your firm contact details as they have requested to enable them establish contact with you and set up an arrangement on how to remit the due loan without delays or possible litigation. Kindly forward to me your firm fee / terms of agreement for my review and if okay upon receipt of the agreement, I shall make immediate provision for the fee to be paid. One lawyer received two cheques (one for the debt, one for retainer fees) and the following cover letter. 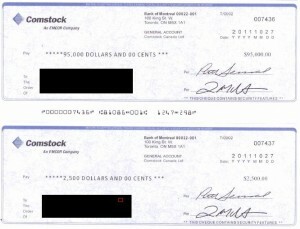 Note that the cheques have the same numbering. I am inquiring about the availability of your firm in creditors rights litigation of defaults on a loan. Please let me know if this is an issue your firm can handle. I have received 3 e-mails from Ralph Chaplic which were erased immediately as I work for LAO and his e-mail was obviously a scam I was wondering who to report this to.